Dr. Jennifer Harvey speaks about raising active and able allies. Listen in as Dr. Jennifer Harvey leads a multigenerational, multiracial conversation with people in Des Moines, Iowa, at a Des Moines SURJ event: An Anti-Racism Conversation for All of Us. Share this video with your own Showing Up for Racial Justice chapter or other community groups committed to stopping racial injustices. In the coming weeks, we will add additional resources for hosting such an event. To receive an alert for when those resources are available, please complete this form. If you would prefer to watch Dr. Jennifer Harvey's talk on YouTube, view it here. 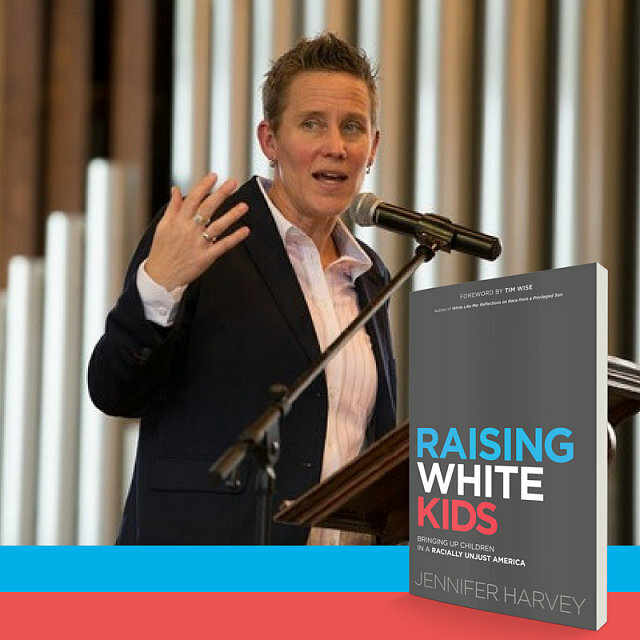 Find out more about Dr. Harvey's latest book at RaisingWhiteKids.com.